Counsellors and therapists must have some ideas regarding how to relate to their clients. For example, do they respond from realistic forms of love; or from unrealistic forms of unconditional acceptance? I awoke this morning thinking about the LinkedIn response to my post about ‘Conditional Love’ versus ‘Unconditional Acceptance’. I want to do a good job of thinking about and responding to those individuals who took the time to post their view. This will take time to develop, and given my other commitments, I will probably have to develop it in stages. Which talk about the ‘unconditional love’ of a mother for her children. And there will be other points that also require a response. I originally (unthinkingly) subscribed to the approach of distinguishing between a person and their behaviour. I was introduced to this idea through studying the books and audio programs of Dr Albert Ellis, the creator of Rational Emotive Behaviour Therapy. My rejection of this position came out of the split in the Albert Ellis Institute in the period 2004-2007. 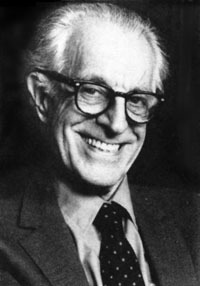 When Albert Ellis – who developed the concept of Unconditional Self Acceptance and Unconditional Other Acceptance (meaning unconditional acceptance of other individuals) – was banned from practicing REBT at his own Institute, and subsequently removed from the board of his own Institute, he was unable to sustain his unconditional acceptance of his adversaries. He famously said, about the titular leader of his opponents (Dr Michael Broder): “I want him dead, dead, dead!” This is not the stuff of Unconditional Acceptance! This is Conditional Acceptance! Of course Ellis tried to keep up his official ideology of Unconditional Acceptance – by saying, about his adversaries: “They should be unfair, because that is their chief talent!” But at the same time he wanted the Chief “Bast***” Dead! And he wanted serious action taken against them all. Ellis asked me to make an ethics complaint to the American Psychological Association (APA) regarding what he saw of unethical behaviour by one of his colleagues (Doctor-X). Doctor-X had written one of the reports which justified removing Ellis from office. I read a copy of that report, identified a number of problems with the logic and the professional standard of the report, and, before sending it to APA, I ran it by Doctor-X – which is an APA requirement. 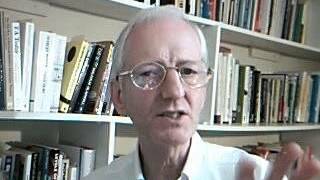 Now remember: Doctor-X has 40 years’ experience of using REBT; and 30+ years of teaching it. And so he has thousands of hour’s experience of teaching Unconditional Acceptance of Self and Others. So what would you expect him to do when he saw my ethics complaint? He should have said: “Jim, your behaviour is very bad (for the following reasons), but you’re okay as a person”. That’s what the theory says, and that is what he should have done. But what did he actually do? He denounced me as “a sick sadistic bast***”. It seems to me, on the basis of the above descriptions, that it is reasonable for me to conclude that people who declare that they hold to the view that we should all Unconditionally Accept each other are mouthing platitudes! And that the only way we can tell if they ‘really mean it’ is to put them to the test. If Albert Ellis, the creator of this idea, cannot walk his own talk; and if one of his chief acolytes cannot walk his talk – then what is the value of these declarations? Very little, actually! At deep emotional levels, neither Ellis nor Doctor-X were capable, in practice of delivering Complete, Unconditional Acceptance! Throughout the conflict at the Albert Ellis Institute, in the period 2004-2007, both sides accused the other of immoral behaviour. But neither side could support their claims, because both sides had their hands tied in a significant regard. They had all agreed (WE had all agreed!) never to use these words: SHOULD; OUGHT; MUST, HAVE TO, GOT TO, NEED TO! And it proved impossible to mount a moral argument without the use of these words. (Behind the scenes, Ellis mounted a couple of court cases, which necessarily involved saying: “they have unfairly dismissed me, which they should not have done!” – but nobody noticed that! J) We (on both sides) could refer to actions by our opponents which we DID NOT LIKE, and which we thought would ‘sound unsavoury’ to our readers. But that is not a powerful moral argument. I eventually realized that we have to be able to distinguish between MORAL SHOULDS, PREFERENTIAL SHOULDS, and ABSOLUTE SHOULDS, at the very least. And we have to hold on to our moral should. It seems to me that most people who communicate via group discussions on LinkedIn and elsewhere in the world of Social Media are very busy. People seem to post sound-bites, and respond to sound-bites. But I am not a sound-bite manager. I believe it is important to think clearly on paper, in elaborated arguments and/or descriptions, and it is important that, in dealing with your conclusions, I take your arguments into account (where ‘you’ means anybody who interacts with me on the internet). If all I do is to present you with my conclusions, in response to reading your conclusions, then no significant communication will take place; and there will be no substantial progress made in the development of ideas. We must look at each other’s detailed arguments, otherwise we are not able to understand where the conclusions came from. I have printed off all the comments which were made in response to my posting about Conditional Love versus Unconditional Acceptance (at LinkedIn), and I will make the time to critically analyse them, and I will respond in due course. I regret that there has to be this inevitable delay.